There’s no denying it – the PC industry has changed. With tablets, smartphones, and wearables, we have the ability to shape our computing experience around our lives like never before. But that doesn’t mean that the PC market is shrinking. Far from it – it’s evolving in a whole new way. Consumers who once preferred a traditional laptop are choosing slim, powerful notebooks that give them the flexibility to do everything, everywhere. That’s important, because the way we work has changed as well. For many, the work day begins the moment they wake up, and often stretches well beyond dinner time. In 2018, true portability and productivity is knowing you have a single notebook that makes it possible to do what you can’t do with just a tablet or desktop. It’s thin enough to slip into your “go” bag. It’s light enough to carry all day, every day, and almost forget it’s there. It’s strong enough to endure the bumps in the road and the inevitable scrapes from the airport security bin. 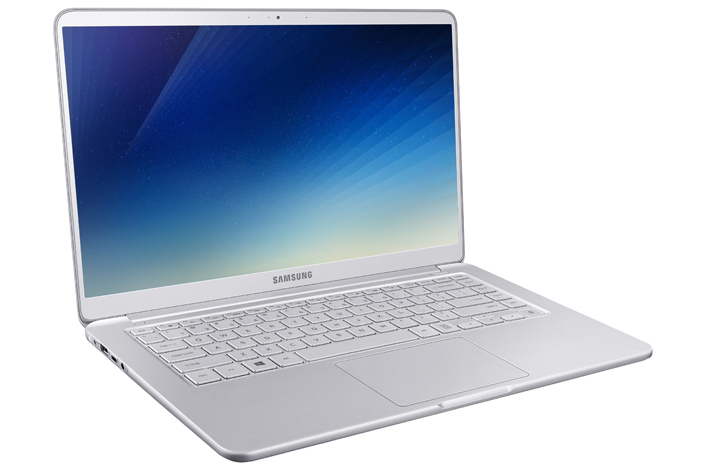 At Samsung, we’re leading the evolution of the PC. Our portfolio includes 2-in-1 tablets with detachable keyboards, for those who want the ultimate in portability, along with Samsung Chromebooks, for those who want access to their favorite Google apps and services. For those who want the ultimate in power, portability, and performance, I’m excited to introduce a new series of PCs. Our new ultraslim notebooks combine convenience with performance and design – establishing what it means to create a premium PC experience for the way we live and work today. Whether you’re working up an important presentation, drafting your next big plan, or playing your favorite game on the go, you need immersive graphics, processing power, and frame rate. Our new series of notebooks give you the screen, power, graphics, memory, storage, and battery life to make your old laptop seem, well, old. Before we engineered our new notebooks, we listened to you. We heard what you wanted and what you needed. You told us you wanted the flexibility to do, with one notebook, more than you can do with a simple tablet or a thick laptop. So we designed a range of mobile computing experiences to meet the needs of the modern, mobile workforce—helping everyone do more at home, at the office, and on the go. Versatility and performance are important – but as any frequent traveler will attest, durability is important as well. Keeping that in mind, we’ve developed an entirely new material to wrap it all up: Metal 12™. This magnesium alloy is incredibly light, yet unbelievably strong – and feels amazing in hand. And Metal 12™ is available only on Samsung devices. It’s one more way our investments in R&D are delivering next-level durability and premium design. 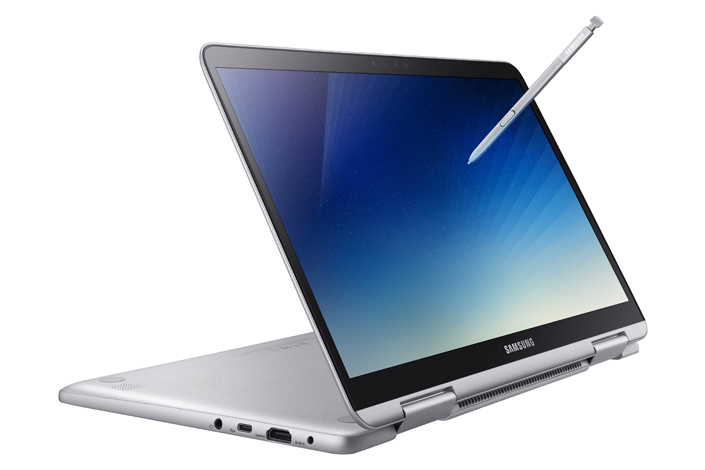 Notebook 9 Pen is the ultraslim 2-in-1 convertible for those who want the most computing power with the creative power of the S Pen. Perfected in Samsung Galaxy mobile devices, the battery-free S Pen replicates the ease, accuracy, and size of a real pen, so you can enjoy a natural writing and drawing experience – without having to ever charge it. Jot notes. Use CAD. Sketch freehand. If you want to work, create, design or draw, the Notebook 9 Pen puts no limit on how you can express yourself. It’s a whole new way to use your notebook PC. Notebook 9 (2018) is the notebook for those who want the most powerful graphics in the slimmest package. When you’re on the go – whether on business travel, headed to class, working, taking a laptop is a still given. With this extremely light PC that weighs no more than 2.84 pounds, Samsung is actually taking weight off your back and creating more room in your pack. The Notebook 9 (2018) has all the durability with none of the weight. Powerful graphics bring movies and games to life on screen, with battery capacity that allows you to stay immersed in your favorite content throughout the day. 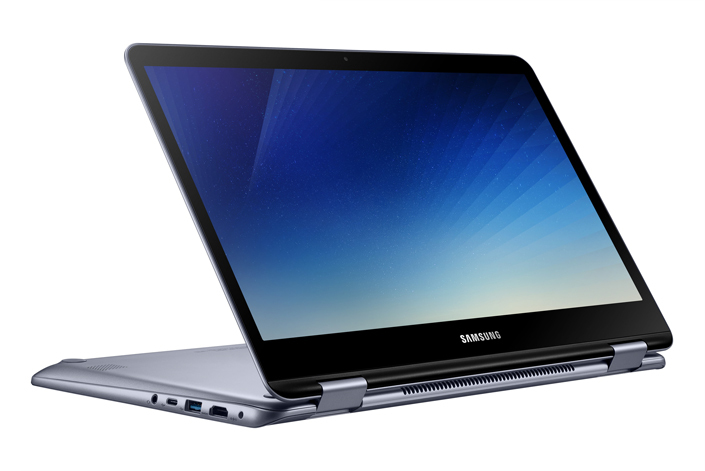 Notebook 7 Spin (2018) is the “best of basics” 2-in-1 convertible for those who want Samsung design at an affordable price. If you’re always moving from home to office or from class to class, flexibility is the name of the game. With the Notebook 7 Spin (2018) you can flip easily from PC to tablet—and back, work anywhere—even in the dark—with the backlit keyboard, and use your Active Pen (sold separately) to express yourself in an entirely new way. The Notebook 7 Spin (2018) design gives you the flexibility to work anywhere, and the Intel 8th Generation Quad Core Process gives you the power to do it all. I’m excited to show off our new ultraslim notebooks at CES this year. They’re compact, powerful, and designed to deliver a premium experience that’s all about helping you create more and enjoy more, wherever you are.